Take a look at some of his stats, they’re pretty good. Should he be seeing more minutes? Is he a super sub? Let’s talk about it. Sebastian Saucedo — Bofo, as he’s more commonly known — has been with Real Salt Lake since his academy days, except for a brief stint with Veracruz in 2016. He was one of the first to come up through the academy and sign to the first team. Despite this, in his time with Salt Lake, Saucedo has never routinely been a starting player. With just 18 of his 62 regular season appearances being starts over four different seasons, this begged the question of why. 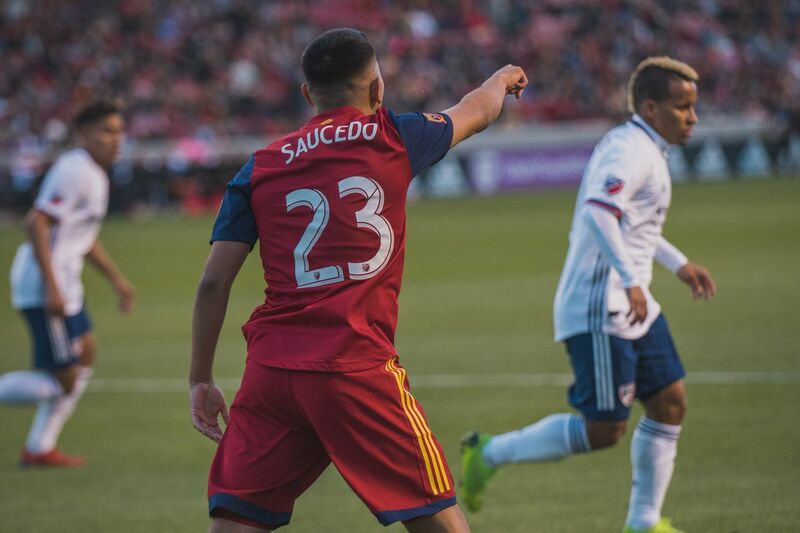 Saucedo has been a part of Real Salt Lake for four seasons, and throughout all four of those seasons, he has almost exclusively been used as a sub. Despite this, he’s managed to make an impact on games when he is given minutes. With 2019 having just started, we’re going to look at 2018 for the stats. In 2018, Saucedo scored three goals and had five assists in only 1,031 minutes. In comparison, Albert Rusnak had ten goals and seven assists in 2,592 minutes. Now, obviously, that seems like a big jump between Rusnak and Saucedo. However, if you break it into the game-changing plays (counting both goals or assists per game), Saucedo has a goal or assist every 1.43 games, Rusnak has a goal or assist roughly every 1.69 games. Even if you look at Damir Kreilach, who had 12 goals and eight assists in 2,784 minutes last season, he’s good for a goal or assist every 1.55 games. Now, no disrespect to Rusnak and Kreilach — they’re some of the best on the roster right now — but this says a lot about Saucedo’s quality. Last season where Saucedo played more minutes than any season prior, but even still he was able to maintain a high amount of goals/assists per 90 minutes, with his rate comparable to the two of RSL’s leading attackers from 2018. Saucedo seems to be heating up, so why is he not seeing more minutes? There are multiple reasons for this, but mostly it’s because at the end of the day we can only field eleven players. Saucedo has always seemed to be successful as this “super sub” position, so in a lot of people’s minds, why change it? You always need your 65th-minute super sub right? Around the RSL fans, people have been calling for Saucedo to see more minutes but that is always the response, if he’s producing well there then why not keep what’s working the same? The reality is, he’s not a super sub. In 2018, all three goals and four of his five assists came in matches he started in. Saucedo started just ten games in 2018. When subbing on, which he did 18 times, he had only one assist. This is because it takes a certain Alan Gordon-type player to truly be their best as a “super sub.” Saucedo has talent. He just isn’t given the time to show it most weeks. Saucedo is going to give you a game-changing play more often than not if he starts. Any soccer player will be happy just to be seeing the field, but Saucedo deserves more minutes. Now, this runs into the issue of where do you put him? Real Salt Lake’s offense is packed right now. Between Jefferson Savarino, Corey Baird, Damir Kreilach, Sam Johnson and Joao Plata, there’s not a ton of available minutes. So far in 2019, six players have scored a goal or assisted. Saucedo is the only one of those six players to not see minutes in every match they’re available. Rusnak, Kreilach, and Savarino have started all games they were available for in 2019. Silva and Baird started four, and each subbed on to a fifth match they were available. Saucedo has started just two games in 2019, been subbed on three times and was unused once. We don’t know what happens at training sessions. We don’t know all the intricacies of this team, Mike Petke and the rest of the coaching staff are the only ones who have the real answers as to why Saucedo isn’t getting more minutes. This is just saying that based on past games and what we’ve seen this year, it seems like Saucedo has earned some more minutes. And hopefully, we’ll see him receive more minutes as the year progresses. RSL finds finishing touch in 3-0 win at FC Cincinnati A pair of late first-half goals sealed the deal for RSL. Utah Royals FC vs. Washington Spirit — three questions with Black and Red United It’s the Royals home opener and they host Washington Spirit. Our friends at Black and Red United answer our burning questions. Season two begins: Utah Royals FC open the 2019 NWSL season vs. Washington Spirit Utah Royals FC are set to host Washington Spirit at Rio Tinto Stadium, and so, we preview the upcoming home opener.